It has now been a full four years since the end of the Great Recession. Unfortunately, the US labor market is far from recovery. At the end of the recession, just 59.4 percent of working age Americans had employment. Today that number is even lower, at 58.7 percent. 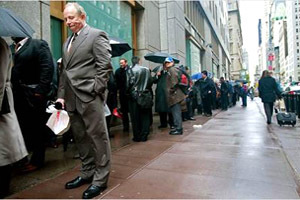 Over 100 million people are now jobless and there are about four and a half million long-term unemployed. There are likely millions more long-term jobless that are not being counted. We are looking at a decade before the labor market is close to fully recovered. Many of the long-term jobless will never fully recover their lost earnings. Our primary focus should be on encouraging the economic growth that we need to push our labor market into full recovery mode. The biggest problem with the US labor is a lack of economic growth. And according to our biggest job creators, small business owners, government is playing a big role in holding back the economy. Remarkably, surveys of small business owners show they are more worried about government than the weak economy. For example, according to the Gallup/Wells Fargo Small Business Index, a third of respondents reported that their most important challenge is government regulation, taxes, healthcare/Obamacare, or just government generally—more than are concerned about attracting new customers or the economy generally. According to the National Federation of Independent Business, nearly half of all small business owners cite either taxes or government regulation as their biggest single problem. According to both surveys, only six percent of owners are primarily worried the quality of their employees. So the answer to our labor market problems right now is doing what we can to eliminate the tremendous amount of uncertainty over economic policy that is holding back consumers and the economy. One important thing that we need to realize is that regulation has a cost. Poorly designed regulation can cause significant economic distortions that affect labor markets. Even a well-designed regulation where there are significant benefits has an economic cost that needs to be considered. For example, any regulation that raises the cost of production for an industry lowers productivity and likely creates unemployment. Unemployment any time is costly for those involved, but in a bad labor market like today’s it can be devastating. At this time we should also be particularly concerned with who bears the unemployment burden of regulatory changes. Youth and older workers have been particularly hard hit by the recession and weak recovery. Youth have a higher unemployment rate and are overrepresented in the long-term unemployed, while it takes on average over 30 weeks for someone over 55 years old to find new work. The disparate impact of the recession on demographic groups is a matter of concern. An important part of the cost of regulation is its effect on labor markets. Both of the above referenced executive orders explicitly mention employment effects. Most recently, the Office of Management and Budget made this very clear when they stated that “job creation is an important consideration in regulatory review” in their Draft 2013 Report to Congress on the Benefits and Costs of Federal Regulations and Unfunded Mandates on State, Local, and Tribal Entities. Productivity is reduced as more resources are used to produce less output. Some of these resources may be labor resources. Industry prices rise and production is lowered in the industry. 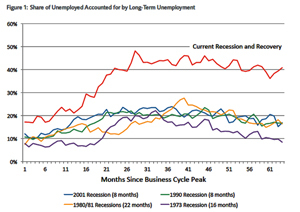 Unemployment is created as employment of production workers declines. Unemployment is created. The economic cost of that unemployment is not trivial, especially with a bad labor market. While there may be increased demand for occupations needed in compliance, this is not a benefit to the economy but part of the cost, as these resources are unavailable for producing other goods and services. Compliance hiring comes at the expense of production workers in other occupations. There is therefore a redistributive effect of regulation that places a burden on particular workers in particular occupations. There may be long-run impacts of regulation on overall economic growth, job growth, and even the long-run unemployment rate. Economic studies comparing countries with different regulation levels make this clear. Because these macroeconomic and dynamic effects are impossible to project for individual regulatory changes, we run the risk of a “death by a thousand cuts” if we do not at least occasionally look at regulation levels and try to assess their cumulative effects. 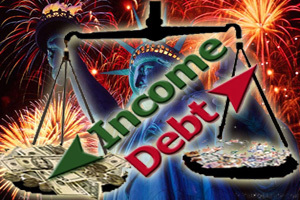 For years now there has been a significant amount of economic evidence that unemployment is very costly and results in significant and sustained earnings losses for individuals. The immediate impact of job loss includes lost wages, job search costs, and retraining costs (sometimes with taxpayer assistance). 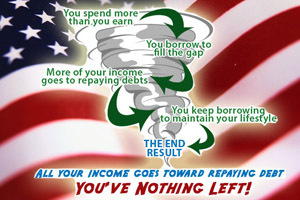 Even after being reemployed, the permanent lost earnings for the jobless will likely be significant. Studies have shown that it can take as long as 20 years for reemployed workers to catch up on lost earnings, largely due to skill mismatches between the jobs lost and the new jobs created in the economy. These losses occur for workers with different lengths of previous job tenure, in all major industries, and for workers of any age. One recent estimate using data between 1974 and 2008 found that permanent earning losses range from 1.4 years of earnings in good times to 2.8 years during times of high unemployment. I anticipate that the poor performance of the labor market since 2008 will lead to an even greater earnings loss for the currently unemployed. Even beyond these direct effects, there is evidence of future job instability, increased earnings volatility, and a reduction in life expectancy for unemployed workers. There are even negative impacts on family outcomes such as the educational and future labor market performance of children and bad spillover effects on communities that experience significant unemployment. Despite this clear evidence of the horrible effects of unemployment on US workers, it is routine practice for regulatory agencies to estimate the benefits and costs of regulatory changes under what economists generally refer to as the “full employment” assumption. This is literally the view that there is no unemployment either before or after a regulatory change. In other words, this is the assumption that any individuals that become unemployed are instantly and costlessly reemployed in nearly identical jobs. This, of course, results in a systematic and significant underestimation of the cost of regulatory changes. It has now been four years since the end of the Great Recession. However, these four years have not been kind to millions of American workers. In the immediate aftermath of the recession, just 59.4 percent of us had employment. Now, that number is even lower—58.7 percent. Over 100 million people are now jobless. At 200,000 jobs per month, the labor market is growing but leaving millions of long-term jobless behind. At this rate, it could take a decade for the labor market to fully recover. Our biggest economic concern should be encouraging enough economic growth to push the labor market into a full recovery. Joblessness is costly, particularly for high-tenure workers who have invested time and resources in job-specific knowledge and skills. Studies consistently show that the longer someone is unemployed, the less likely they are to find new work. They may have lost job skills over time, have less connection with informal job networks, and may face potential employers more reluctant to hire the long-term jobless. And because those with job skills in shortest supply will be reemployed first, the ranks of the long-term jobless may accumulate those that worked in permanently declining industries and those that have job skills that don’t translate well to new employers or industries. 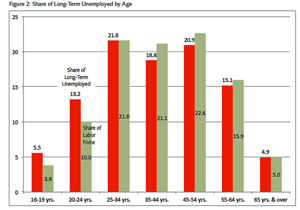 There are currently about 4.5 million long-term unemployed in the United States. Two-thirds of these people have been jobless for over a year and might be classified as “very long-term unemployed.” Large as these numbers are, they dramatically underestimate the long-term jobless problem. Millions of people, after struggling unsuccessfully to find work, have stopped looking altogether. This disengagement from the labor force has driven down the unemployment rate without reducing joblessness. To be counted as “long-term unemployed” (as opposed to “long-term jobless”), an individual needs to have no work whatsoever for six months, be nearly instantly available if offered work, and be actively looking for work. By actively looking, he or she must send out a resume, interview for a job, engage an employment agency, or engage in some other sort of activity that, by itself, could result in employment. Checking for new job openings on the Internet or in the newspaper alone does not qualify as active job search. This sets a high bar for someone to remain unemployed for long enough to be considered long-term unemployed. In 2007, the average unemployed person who eventually exited the labor force looked unsuccessfully for work for just under 9 weeks. In 2011, this had risen to over 21 weeks. That means the average person that left the labor force did so before being even classified as long-term unemployed and almost certainly could eventually be called long-term jobless. Millions of people have dropped from the labor force over the past five years who perhaps should still be counted as long-term unemployed. Click here to see the Mercatus Center at George Mason University documents. This entry was posted in Business on July 13, 2013 by admin.